Now that the big day is all over, what do we do with all this ham? That is the question I ask every year. Ham is always on our menu at Christmas and no matter how big our appetites are, we still have a ton of leftovers. I love being able to breath new life into these leftovers and it keeps the family happy about eating ham for days. After a few days the grumps come out. 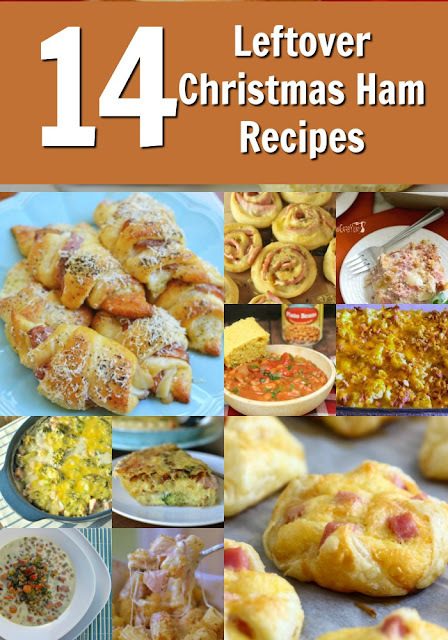 So I rounded up some great recipes that are perfect for that leftover Christmas ham. All you have to do is click the recipe title to view the recipes.